Desktop Java applet that translates color into sound. The translation is based on converting red, green and blue color values (0 - 255 each) to MIDI values (21 - 108). Each chromapost is translated into three successive tones, one for each color channel. 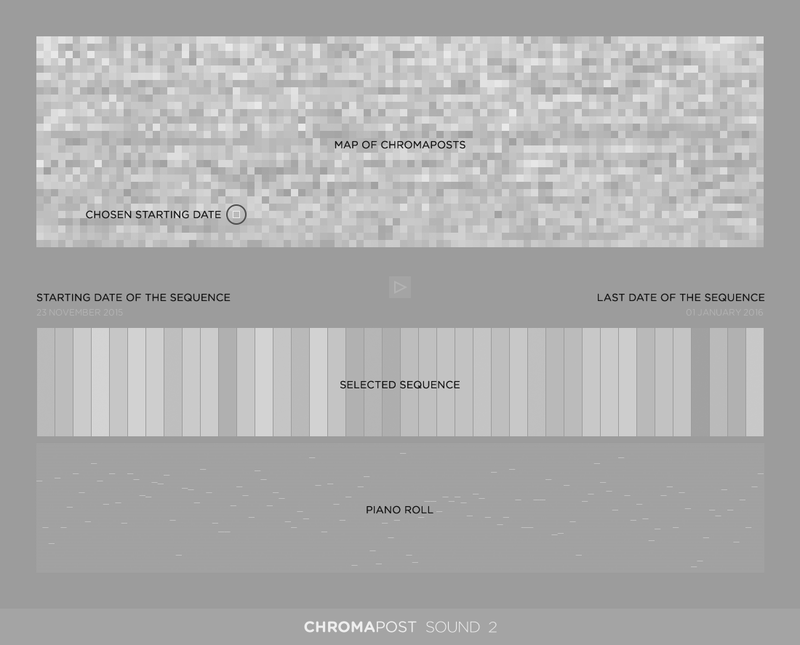 With this applet you can play a sequence of 40 chromaposts (120 tones) in chronological order. 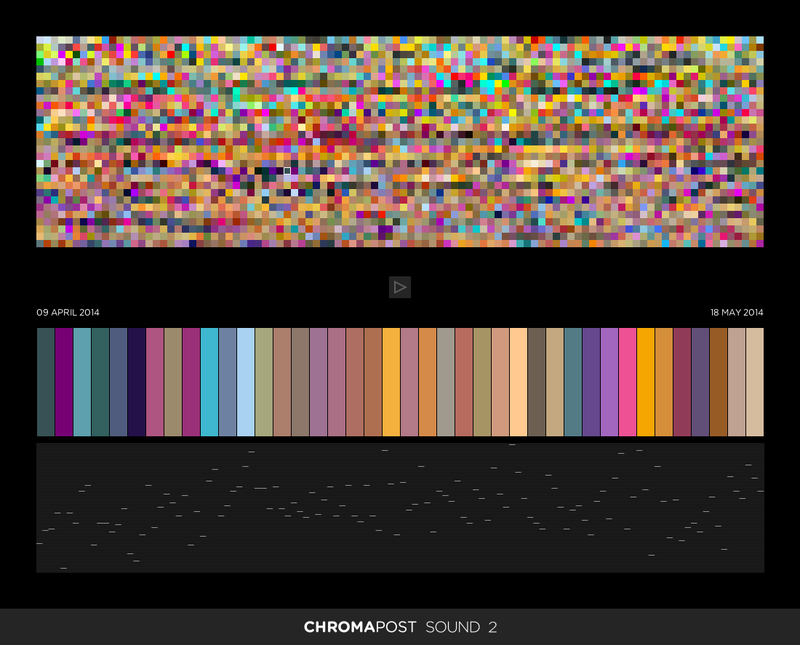 Pick a sequence by choosing a starting date from the map of chromaposts and click 'play'. During the playback you can follow the progression through the sequence, as well as the position of the notes on 88-key piano roll. Don't move ChromapostSound.exe file from its folder.